The Titan missile silo was constructed in 1960, and its Titan 2 missile installed in December 1962. It was one of a series of 54 built throughout the United States. Manned 24 hours a day, and able to launch a nuclear warhead within less then a minute under combat conditions. In 1984 the site was closed for military use as Titan missiles were phased out and replaced with more advanced weapons. In 1986 after all the other remaining silos were destroyed, the Green Valley location, was turned into a museum. The existing missile has been deactivated and this process verified by satellite, as part of an arms reduction treatie. In today’s money each one cost $11 million dollars, and had a life expectancy of 10 years. The Green Valley Titan missile Silo is located inconspicuously out in the Arizona desert. To get I flew into Tucson airport, and then it was about a 25 mile drive south on the 10 freeway. This is the only silo open to the public, out of a chain of 54 Titan Missile sites that were once located throughout the country at the height of the cold war. It is important to remember that these missiles silos where not closed because they were no longer required. But because they have been replaced with even more destructive weapons, that now lie below another part of the desert. But their locations are kept secret, but probably only until they themselves become obsolete. As you walk up to the Titan missile silo gates just before the visitor centre, you will see very few indicators to give away the shear size of the massive concrete underground complex beneath your feet. These missiles were actually meant for defensive use, meaning they would only have been launched after an attack had first directed against the United States by enemy forces. Once the missile had been fired, it would have made the bunker that housed it inoperative for further use. So despite the millions of dollars they took to build, the silo would of have to been completely rebuilt for a second launch. The fence and warning signs, that enclosed the compound, still remain. But there would also have been armed guards on duty 24hrs a day. But considering the massive destructive power of the weapon if it had fallen into the wrong hands, at first glance the security seemed somewhat minimal. However, protection of the bunker really laid with the underground bomb proof steal doors, and the elaborate procedures used to protect the secret codes required to launch the device. The Titan missile silo complex is now run by very knowledgeable volunteers. There is a visitor’s centre, and guided tours are conducted every hour. There is also an exhibition, and a very interesting video that they show about the missile and its deployment. After you watch the video you are led outside and into what was the inner perimeter of the base. 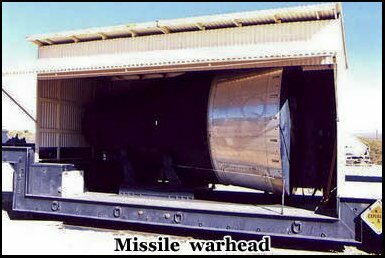 On one side of the concrete walkway there is an actual deactivated warhead from a missile that rests on a flatbed trailer. To your left is where you get your first glimpse of what lies deep beneath your feet. This is where there are massive part open concrete bunker doors that reveal a deep silo in the ground that is covered over with a lair of Perspex. Everyone gathers around and you look downwards. Trailing back into the dark is what looks more like a rocket you would see on an N.A.S.A launch pad. You can’t really comprehend the size of these missiles until you see one, but it’s actually over a 100 feet high. There were specific conditions that h ad to be met so that the device was allowed to be retained as an exhibit rather then being counted as part of the arms treaty. One was that, holes had to be made in the propellant tanks, and secondly the launch hatch had to be permanently fixed in a partially open position. The missile also had to be left on the ground for 30 day before being installed so that it could be verified as inactive by Russian satellites. The concrete door silo door weighs 760 tons, and when operational could have been fully opened in less then twenty seconds. You will notice signs warning you to watch out for rattlesnakes as they like to hide in the shady areas of the compound, on what is now a very hot summer’s day. You will also see an inverted metal cone, which was the radio antenna. 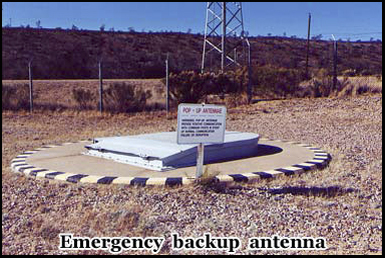 There is also a smaller concrete hatch to the Titan missile silo a few yards away, which is where a second backup antenna could be erected, in the event the first one was destroyed. To continue the tour you are issued with hard hats to put on. You then enter through a small above ground hatch to the underground silo, then there’s a series of green metal steps that lead you downwards. It’s a great relief to get into the far cooler temperature below. We made our way down the steps single file, until we were deep into the missile chamber. There are several parts to the silo, and not all of them are open to the public. But if you look down one of the long dark corridors that lead to one of the closed off areas you start to realize what a vast area it covers, and how complex a construction it was. It actually took three years to build at a cost of over eight million dollars. 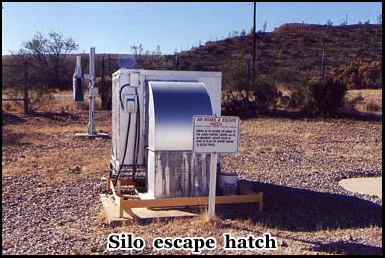 Normally when a member of the Titan missile silo crew entered the chamber via the main entrance gate, they would have three minutes to get to the silo access entrance. If they didn’t make it within that time, the crew already inside would assume there was a security breach and alerts the above ground guards. Even if you made it past this point it was not the only obstacle that unauthorized personal would face. There are numerous below ground metal doors that we now passed through, all several inches thick and airtight. They were not only bomb proof, but were designed to resist poison gas attacks. The guide next showed us what is known as the entrapment area. This consists of a steel door, a few steps, and then a security gate. Only one of these could be opened at time. Access was permitted only by the silo crew already inside. They would view you via a closed circuit television and would unlock the outer door electronically, only if you were an authorized personal member. 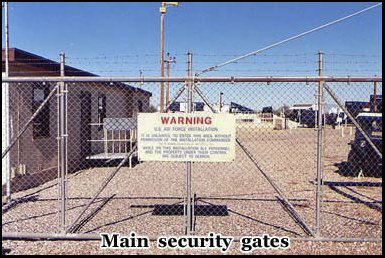 Permission to pass via the security gate would then depend on whether you had the correct access code that would have been issued that day when you left the nearby Davis-Monthan air force base. One other point of interest about the general construction of the Titan missile silo was that the entire complex was not built to the same standard. What where considered non essential parts of it would have suffered severe damage in the event of a first strike nuclear attack. 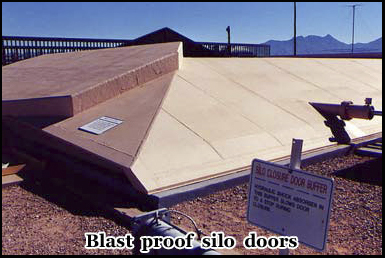 But other parts including the control room and the missile silo itself were specially reinforced to withstand a higher impact. Next we were led around to the missile silo itself. 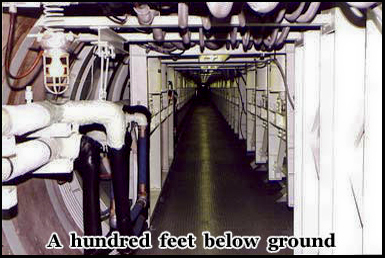 The crew quarters and mission control centre are about 35 feet below the surface, but because the overall length of the missile extends to over a hundred feet, the depth of this particular section is a 146 feet. Here there is a clear protective Perspex panel where visitors can stare upward into the silo. If one of these missiles had of been launched, it would of felt like a earthquake to the residents of the area for several miles around. But none were ever actually fired from this or any of the other Titan silos during their deployment period. This was from 1963 to the mid 80s when they became obsolete and where replaced with more powerful weapons. When you’re down here, it’s easy to speculate about if a nuclear war had happened, or if one of these missiles silos had fallen into the hands of terrorists. You also think about those computer malfunctions that could cause an inadvertent launch. I’m sure most of us have seen the movie War Games. 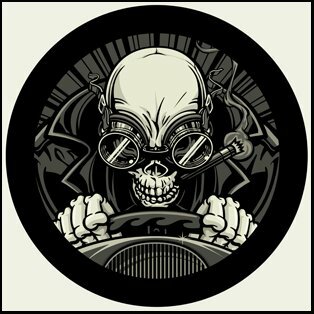 However the next and last stop on the tour is the launch control centre and you soon realize that ultimately it will be a human being that makes the final decision not a co mputer malfunction. The entire underground complex has the feeling of being in a land based submarine. Everything is small and claustrophobic, and of course there are no windows. We follow the tour guide to the control centre. 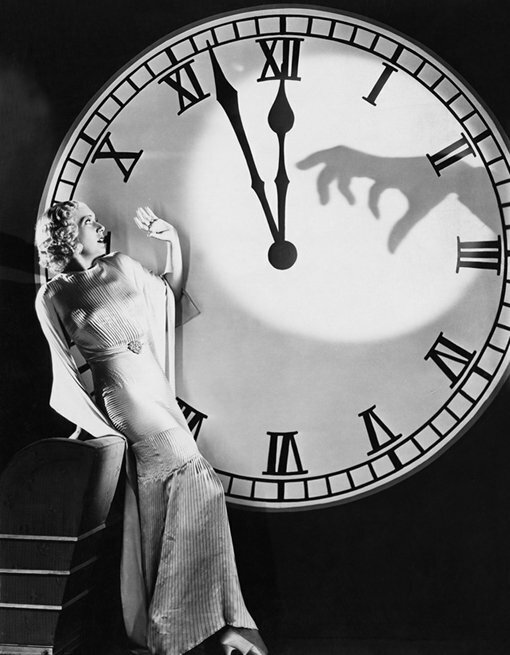 This is where the short countdown procedure would have begun. Then the missile would have been launched to a distant target many thousands of miles away. But again, you should remind yourself that there are probably hundreds of other silos throughout the United States, maybe even only a few miles away. They have more advanced capabilities, and are manned 7 days a week, 24 hours a day, by a crew still waiting for a launch order that one day, may still come. This is where it becomes much more then a museum exhibit, and it is genuinely disturbing as the guide begins to tell you in minute detail the launch procedures. Because you know by this point that if this was real, most of the country would actually already be a radioactive wasteland, as these missiles were only used to be used to launch a counter strike. The sequence of an actual launch would be as follows. 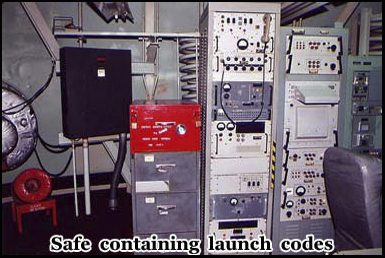 Upon authorization from the President and confirmation of the order via a radio message containing a secret code, a crew member in the silo would unlock the emergency war order safe in the console room. If you have ever seen news footage of a U.S. president you may have seen an officer with him carrying a black briefcase. This case also contains an authentication code and this one must match the one in the emergency war order safe. This encrypted information would also contain a launch time, and the code to unlock the “Butterfly valve lock” on the control panel. Upon verification the crew commander and his deputy would access the valve lock. 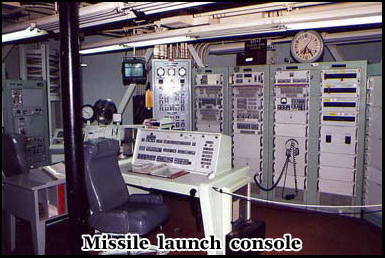 This in turn would allow the crew to obtain the keys that would operate the launch console. Both keys had to be turned at the same time, and they were deliberately placed far enough apart that just one person couldn’t activate it within the designated time. Upon completion the automatic missile launch sequence would begin. There is then a wait of about 28 seconds during which time the missile switches to its own internal power supply provided by two dry storage batteries. At this point if the silo had its own power source cut off, the missile would still launch. Then the 760 ton silo door would have slid open. This is where a deathly hush falls over the entire group, and you will feel a genuine shiver run down your spine as a siren echo’s throughout the entire complex, just as it would have done if this had been a actual launch. Indicators now light up on the control panel to signal that the rocket engines would have fired. Then a mass of orange flames would have been shooting up the sides of the missile silo. 5, 4, 3, 2, 1. The last light illuminates to signal what would have been lift off. The ground would rumble, there would have been a deafening roar. At a speed of around 1700 mph the Titan Missile would have flown for around 5 to 6000 miles at a height of about 500 miles. It would reach its target in less then 40 minutes. They can’t be halted, their course cannot be changed and they cannot be destroyed by remote detonation. The tour is over, but everyone remains silent. You know we were all thinking the same thing, what if this was real. And if it was out job to press the button in the silo, could we have done it. Out of all the places I have been, this is one of the most frightening and thought provoking, and you will not regret the visit. Hey Buddy!, I found this information for you: "Titan Missile Silo – Green Valley – Arizona". Here is the website link: https://www.chasingmidnight.com/titan-missile-silo-green-valley-arizona. Thank you.